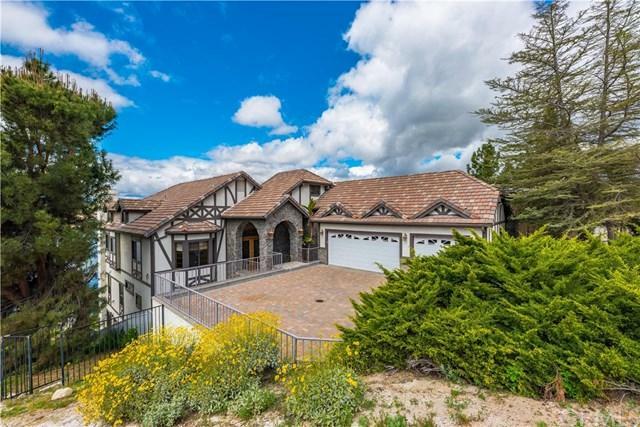 Mainlake showpiece , from curb to water, this home shouts quality. 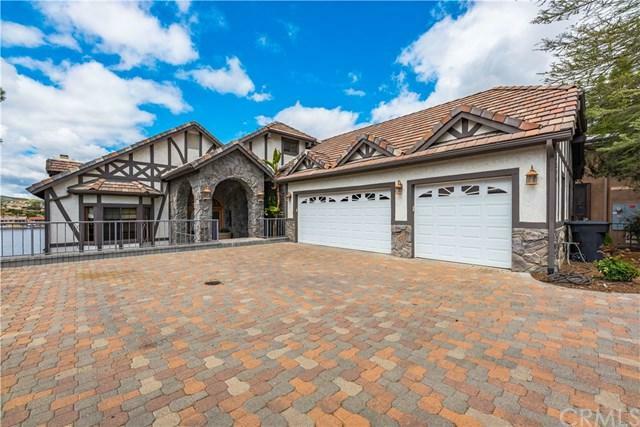 Oversized driveway with interlocking pavers leads to the 3 car garage. The fully equipped kitchen has all new stainless steel appliances, granite counters & travertine flooring. There are 4 fireplaces to enjoy. There is an outdoor kitchen off of the lower level with stainless steel BBQ, sink, Jennaire cook top and beer tapper. There is a 15 x 36 sport pool with raised spa along side a patio bar area with refrigerator. At the lakefront there is a private beach area and oversized covered trex boat dock with 6000lb hyrodlift. The home has a lake view elevator to access all levels. The interior has full oak doors, casings and trim, all door hardware are top of the line Baldwin locks. 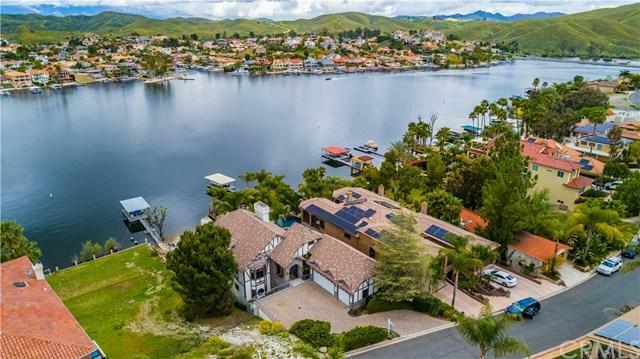 Canyon Lake is Southern California's premier lake community with water skiing, wake boarding, fishing, golf, equestrian, tennis, etc. 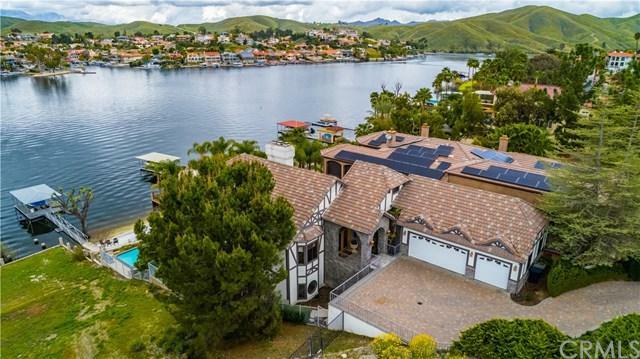 This home 's coveted location offers front row seats to the festive Christmas Boat Parade and the spectacular 4th of July Fireworks Show. There are numerous decks to take in the panoramic main lake views.